As the world leader in serving science, we set the standard in service excellence, ensuring that you get the best out of your equipment every time, everyday. Our world-class teams are dedicated to delivering the highest levels of technical support and customer service, as well as maintenance to keep your instruments and equipment operating at peak performance. To support your purchase from Thermo Fisher Scientific, we offer an installation service to you get started. Our factory trained and certified engineering staff will be at your site installing your equipment so it operates with precision. They will visually inspect the unit, conduct testing, provide operating instructions, and ensure the unit is optimised for your application. Buying the best is only part of the experience. We have drawn on our many years of experience and developed first-rate user training methods so your staff achieves accurate results and consistent quality. By completing these well-rounded training programs, your staff will be better equipped to meet objectives and deadlines. Our factory trained and certified field and depot engineers service equipment to the highest quality standards, making certain they complete repairs to meet local and internationally recognised standards. 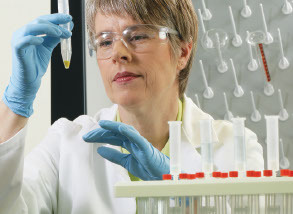 As the original manufacturer of our scientific equipment, no one is better placed to ensure that your equipment continues to function at its peak for its ‘whole of life’. Our factory trained and certified engineers have access to a global technical support network to ensure that you get the best possible level of service.